Going by its findings, most schools do not have potable water for cooking or drinking and their kitchens are not hygienic. 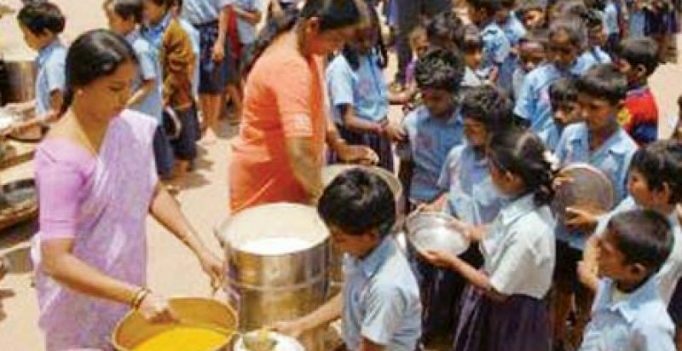 Mysuru: A pilot study by the Central Food Technological Research Institute (CFTRI) has thrown up disturbing facts about the mid -day meals served in schools in Mysuru district. Going by its findings, most schools do not have potable water for cooking or drinking and their kitchens are not hygienic. CFTRI scientist, Dr Arun Kumar V, who spoke about the study’s findings while making a presentation on it during the two- day national conference on malnutrition in the country here recently, said it was being conducted since January this year in 270 schools of the district. “We found that 94 per cent had good infrastructure for cooking and storage, but 87 per cent did not have clean water for cooking and 83 per cent did not have clean drinking water for the children. At least 39 per cent of them did not have a facility for clean water storage and most of the water samples tested had coli forms. Also, 11 per cent of the schools failed to maintain hygiene in the kitchen and complained they were not provided with detergents and other material for cleaning by the government,” Dr Kumar said, adding that guidelines for food safety and hygiene prescribed for the mid- day meal scheme by the Ministry of Human Resource Development and Department of School Education and Literacy, MDM division were being blatantly violated in a number of schools. Mysuru deputy commissioner, D Randeep, who participated in the inaugural session of the conference, said that 324 children in Mysuru district were severely malnourished.